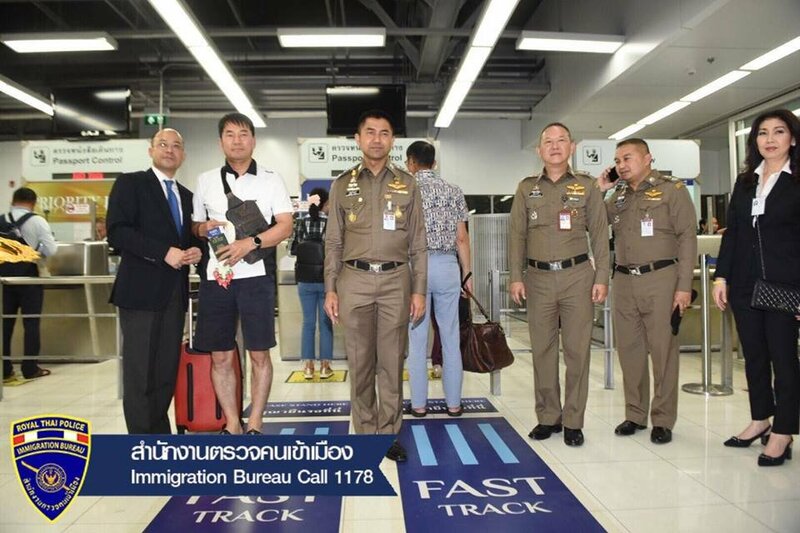 The Thai immigration website on Facebook has announced new measures and procedures for VIPs and businessmen who qualify for speedier processing at Suvarnabhumi airport in Bangkok. Chief Lt Gen Surachate "Big Joke" Hakparn has ordered that the priority lane previously known as "Premium Lane" be rebranded as "Fast Track". The project has been called "Fast Track 2019". New "Fast Track" signage will go up for both inbound and exiting VIPs with the buzzwords "beautification" "modern" and "international standard" being bandied about on Facebook. The Lt Gen wants visitors to be impressed with the airport and procedures. Controls over the printing process of cards and the approval system was also mentioned as was rooting out fake cards. ah, but will it be a fast lane or be swamped and become slow as it is now. Was surprised last trip when I went through immigration faster than a man that used the "premium" lane. Is there no end to this amazing man's talents? Premium Lane to Fast Track....brilliant! The current 'Premium Lane' already existed in a previous life as a clearly marked and signed 'Fast Track'. That was changed under the misguidance of a previous government-employed fiddler of things that were already working fine. I guess the companies that make the new signs will be happy with the new business though. PS. 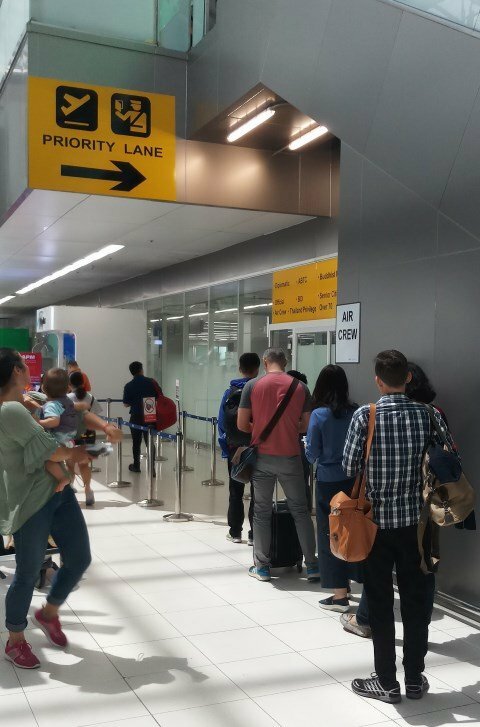 If you look at the left-hand side of the picture in the OP, you can see the gold 'Priority Lane' which the current 'Premium Lane' and soon to be reborn 'Fast Track' have also been called in their previous, brief existences. Jeez . . . what an original name. This Big Joke can certainly think on his feet, as photo ref. 2019.01.15367 makes clear. He must have been up all night to think of reusing the old name that new idea. But will they refuse to process people who don't qualify for Fast Track? I hope the 'additional' promotion of the 'Fast Track' lane does not increase congestion there. Quite a few chinese obviously mis-translate the sign for the over 70's lane. Fine, so the "PREMIUM LANE" that was labeled as "PRIORITY LANE" at departure will now be "FAST TRACK" (as it was often referred to in the past). They cancelled that. I paid and did Vietairs best seat and was denied. Now that is a joke! Premium Lane will henceforth be known as "Fast Track"
Wow, another news worthy achievement. New visitors to the land of confusion will certainly be impressed by the new signage and be glad that the dept. of Jokes is watching over these meaningful travel details. I think someone's coined a phrase here!!! !